Atlanta, Georgia, can be a big place sometimes. With dozens of suburbs surrounding the city and multiple interstates snaking their way in and around Atlanta, it can seem like a never-ending sprawl of suburbia. Where does one go to find a nearby GMC dealer? Roswell, Georgia, one of Atlanta’s many suburbs, lies to the north of Atlanta, just across Interstate 285, or “outside the perimeter.” It is one of the more central locations of suburban Atlanta, accessible to all of the city itself and many of the suburb cities. If you are anywhere near Roswell or North Atlanta, and you have ever asked yourself “Is there a GMC dealer near me?”, we’ve got good news for you. 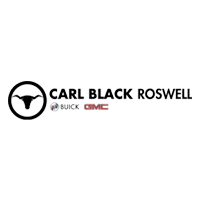 Carl Black Buick GMC in Roswell is here to serve your new and used car needs. We have nearly 350 models on our lot. These models range from sedans to SUVs to trucks, with dozens of trim options to choose from. Take a look below at just a few of our many options, then head up, down or over to Roswell to get a look for yourself. The 2019 GMC Canyon is a mid-sized pick-up truck with subtly impressive power. Its 2.5 liter, 4-cylinder engine is the most powerful engine in its class, capable of pulling 200 horsepower and 191-foot pounds of torque, and towing up to 3500 pounds. That’s a lot of towing capability for a mid-sized truck. And that’s just with the base engine. With upgrades to either the 3.6 liter V-6 or the Duramax 2.8 liter I-4, you could be towing up to 7700 pounds. That’s some very impressive abilities for a smaller truck and more than enough power to tow most everything you’d need to around Atlanta. The GMC Yukon is one of the more popular SUVs in the United States. This roomy vehicle is large enough to comfortably and safely fit up to nine people, making it great for large families or carpools. 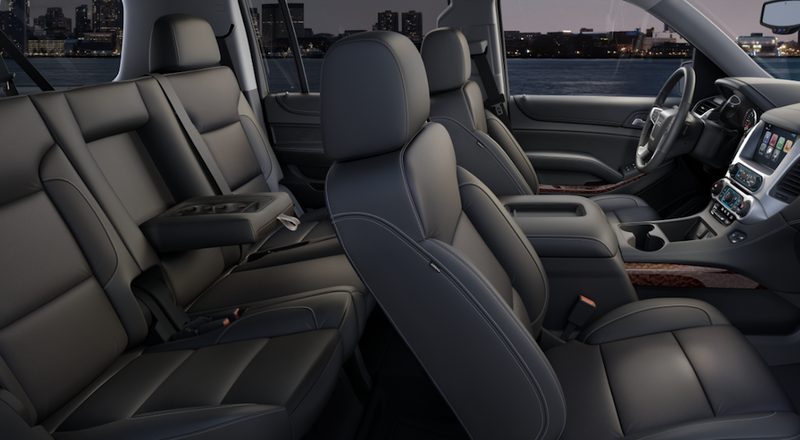 At a staggering 94.7 cubic feet of total interior space(2), this makes the 2018 GMC Yukon an extremely roomy ride. Whether you are hauling a bunch of kids or a bunch boxes or other cargo, you will have more than enough room to move around and breathe. One function of the GMC Yukon is the ever popular hands-free liftgate. Due to its enormous interior size and power folding seats, the Yukon has appeal for hauling all the things we just mentioned, and more. The hands-free liftgate allows the user to open the rear hatch without having to manually open a handle or even touch the liftgate at all. When loading in large amounts of cargo, this design feature comes in very handy. Buyers have recognized this and made it one of the most popular feature in the last few generations of SUVs, including the GMC Yukon. Among its other interior design qualities are a nine-speaker Bose sound system, USB ports, and auxiliary inputs and a wireless charging pad. The wireless charging pad is a selling point for many buyers, as is it not that common in similar SUVs. 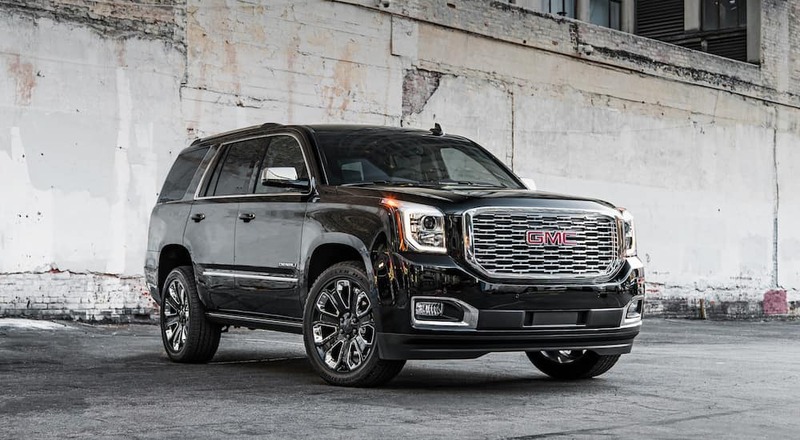 The 2018 GMC Yukon SLT is definitely worth checking out if only so you can see its fantastic interior for yourself. The GMC Sierra is the ultimate in pick-up trucks from the GMC line of vehicles. The most powerful of all GMC vehicles, the Sierra has incredible engine strength and performance, and it is capable of towing thousands of pounds behind it. The 2018 GMC Sierra 2500HD has a 6.6-liter V8 engine, reaching up to 403 horsepower. This means that this particular vehicle can tow up to 14, 500 pounds (3). That is a lot of potential for a work truck, or hauling recreational equipment for a weekend away. The suspension package, crucial for being able to trailer great weights, includes 51-millimeter twin tube shock absorbers. These allow the driver to be able to safely haul any kind of trailer, within a weight limit, and keep the truck and trailer stable, even at elevated speeds. Even with the 2018 GMC Sierra 2500HD being so large and powerful, there are bound to be accidents. Even the best drivers are at the mercy of the other people on the road. As such, the GMC Sierra is full of safety features, both to prevent accidents and bring relief and aid to drivers who have been in an unfortunate wreck. Safety features like StabiliTrak with Proactive Roll Avoidance help keep the GMC Sierra stable, even when towing a trailer or something else. There are also multiple airbags to protect passengers and drivers in the event of a crash. These include not only front airbags, but head and side airbags, as well. These are just a few of the many safety features available, and it is clear that the 2018 GMC Sierra is well-equipped and ready to deal with any potential mishap. WHERE TO FIND A GMC DEALER NEAR ME? As anyone that lives in or near Atlanta, and owns a television or radio can attest, there are tons of car dealerships in the greater Atlanta area. They range from high-end boutique dealerships that specialize in cars that most of us will never be able to afford, to mom-and-pop outfits that sell everything from pre-owned to nearly classic vehicles. There are large chains and individual proprietors, and everything in between. And none of them are afraid to tell you about themselves. The market can seem flooded and inundated with non-personal, standardized ads that point you in every direction with loud voices and even more garish colors. At Carl Black Buick GMC in Roswell, we promise friendly, professional and, most importantly, personal service for each and every of our appreciated customers that walk through our lot. Our experienced and courteous sales professionals will talk you through every aspect of the selection process, from the definition of MSRP to scheduling a test drive. Once you have selected your next car, truck or SUV, our finance department will walk you through the process of financing your vehicle. We know how to find the best deals for your budget needs, including buy or lease options and long-term financing. If you cannot make it to our lot on Alpharetta Highway, or you just can’t wait until our offices open at 9 am, our virtual showroom is open at all time and never closes. You can view the specifications of all our makes and models in detail from the comfort of your own home. Unfortunately, we cannot yet offer test drives online. Until that technology catches up with us, we will be waiting for you at Carl Black Buick GMC in Roswell.